In recent years vehicle crime has become a major problem with more and more expensive cars being targeted by thieves up and down the country. Easy on the eye and an absolute dream to drive Mercedes are, unsurprisingly, among the most targeted cars in the UK. Therefore the need to protect your Mercedes is greater than ever. 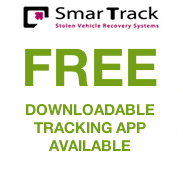 Here at Trackerfit we have bags of experience supplying and installing tracking devices that are suitable for all models of Mercedes. Following major advancements in technology there has been a huge boom in the number of tracking devices available on the market. Therefore selecting one to suit your requirements isn’t the easiest, especially if you have little knowledge on tracking devices. However, offering you expert advice we are able to guide you in the right direction and ensure your Mercedes is equipped with the best tracking device possible. Equipped with the latest GPS and GSM tracking technology the SmarTrack Protector Pro is suitable for all models of Mercedes. Providing regular location updates, control centres manned 24/7 will liaise with the relevant police force until your Mercedes is located and recovered. The CobraTrak ADR is a high quality Mercedes tracker. Equipped with the latest GPS and GSM tracking technology this device is Thatcham Cat 6 approved. Installed discreetly this tracking device is designed to detect any illegal movement which helps prevent tow away theft, a common tactic used by modern day thieves. Installing your Mercedes with a CobraTrak ADR device will give you peace of mind knowing that your vehicle is equipped with a high quality tracking device. The module is installed within a secure steel housing for even greater protection. When you opt to purchase a tracking device for your Mercedes from here at Trackerfit you can rest assured that you are receiving a product of the highest quality. Along with our technicians all our products are Thatcham Approved and installed discreetly. If you’re struggling to choose which car tracker would best suit your Mercedes then don’t hesitate to get in touch. For expert advice give us a call on 01254 851168 to discuss your requirements with us further.